As we enter the most magical time of the year, formal attire is a must-have. From cocktail parties and black tie winter weddings to holiday parties, there are plenty of occasions that call for evening wear. Fortunately, Azazie makes it easy for bridesmaids and guests alike to get the most out of their dresses. 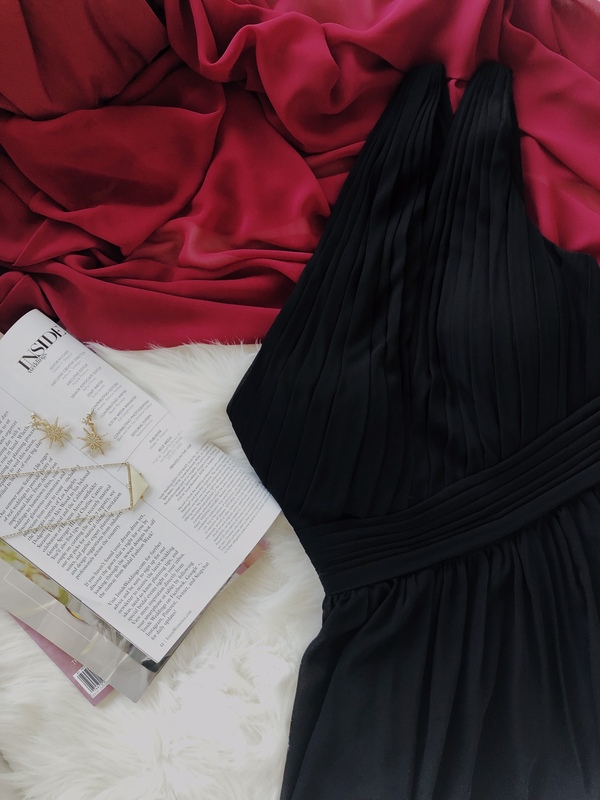 Our bridesmaids dresses are extremely versatile, so break yours out and take note of our top 4 styling tips for transforming it into an enchanted evening gown this holiday season. Add a little something to your dress! A beautiful beaded sash is a great way to add a touch of glimmer while highlighting your waist and defining your figure. Azazie offers a wide selection of sashes in over 60 colors and styles, or you can opt for a dress that has a removable sash, like our popular Azazie Hazel. You don’t need to stick to darker colors for fall and winter evening wear. Soft neutrals like champagne, pearl pink and taupe are popular bridesmaid dress colors year-round. Transform this color palette into one that’s holiday party-perfect with a dramatic silhouette, like the Azazie Carissa dress, or light-catching sequins like those on the Azazie Cali dress. Spice up clean lines and soft, feminine fabrics with edgy jewelry. If you want to rock a short dress, add chandelier earrings to balance your look and elongate your features. An easy, chic way to dress up any gown is to add a shawl to your ensemble. Shawls offer a romantic touch and can be transformed to reflect your personal style. Create an elegant tie detail at the front or the back of your dress to keep it in place and add comfort. How would you style your Azazie dress for an Enchanted Evening this season? Tag your look on Instagram with #enchantedazazie for a chance to be featured, or leave your comments below!